We are developing in three adjacent directions: Mobile tech. Big data. Artificial Intelligence. Wandle is in the open beta test stage in the Early Access category in Google Play. At the moment, the back-end part and the machine learning algorithms are being developed. The UI part and the design have also changed. We plan to launch MVP within two months. We estimate the market B2C based on the number of active users of smartphones. who receive a large number of notifications and calls in daily life. According to the latest research from Strategy Analytics, global smartphone shipments grew 3 percent annually to hit a record 1.5 billion units in 2016. Mobile subscriptions are growing at around 4 percent year-on-year, reaching 7.6 billion in Q1 2017 by Ericsson Mobility Report. There are billions of active Social Networks users, that was noted at the World Economic Forum. At the same time, the use of social networks, messengers and e-mail clients involves a large number of notifications. Total number: 283.6M - 976.4 mln. We noticed that the mobile phone of a modern user receives so many notifications (calls, push, messengers, email clients), therefore nowadays it is already difficult to manage them. And the number of messages is growing every day. For such intensive information flow it is necessary to implement a filtering algorithms which help to allocate really important notifications at this moment in this place. 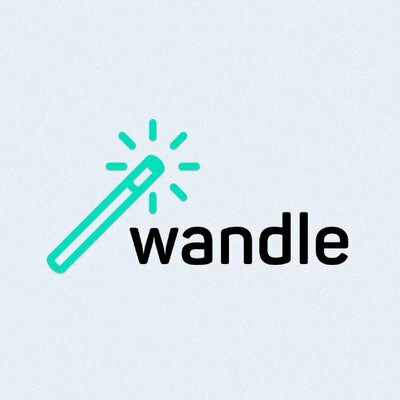 Wandle smart filtering service for notifications based on artificial intelligence. After analyzing the user's behavior, Wandle sorts the notifications by importance. 1. Managing notifications depending on time and place. The application analyzes your daily routine and can select the desired alert mode at the desired time interval depending on the user's geolocation. 2. Sleep mode. The program determines when the user is asleep, and at this time disables alerts. Important contacts and applications for the user will be added to the White List. 3. In the car mode. For users who are often behind the wheel, it is suggested to disable incoming notifications during driving above a certain speed or when Wandle is synchronizing with the car. In this case, the caller will receive an automatic SMS response. 4. Events. Wandle synchronizes with the user's calendars and on any event automatically sets the desired mode on the device. 5. Tickets. Already at the moment we cooperate with the largest ticket service in Belarus "ByCard" for various types of events. Thus, our service processes the information about the purchased ticket, and knows when the user will visit the concert, cinema, etc., thereby Wandle can be activated. Wandle analyzes the user's behavior with the device and notifications, and then automatically offer suitable customized solutions that can either be activated immediately or adjusted, which further makes AI Wandle more accurate. This is the main competitive advantage of our application. As the result, after some training period, the application will work "without a button" - without the user's participation in the configuration. 1. Subcription business model - for a certain period, all the functionality is free. Upon the expiration of the free trial period, Wandle restricts access to certain functionalities (which specifically becomes clear at the stage of the a / b testing) and offers to open access for a limited period for a fee. 2. Automation of notifications for other services (messengers, social networks, email clients, etc.) - selling access to the API to other services for their internal automation of notifications for users. Select the desired alert mode. Context analysis. Sort priority of notifications. Organizational operating expenses are not more than 10%. In A-Round we expect to raise $ 350,000 for the sale of the company's share. Proposals will be negotiated directly with potential investors. The main risks are the cost of bringing to market a full-fledged product and a large number of competitors, coupled with the potential complexity of implementing a business model. которые позволяют реализовать ваши проекты на привлекательных условиях.